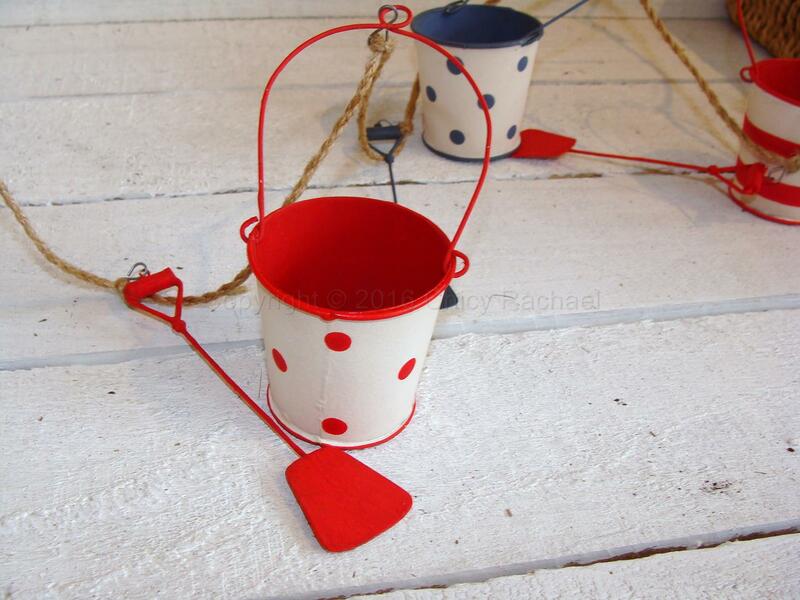 This is a lovely blue and red garland with alternating buckets and spades. 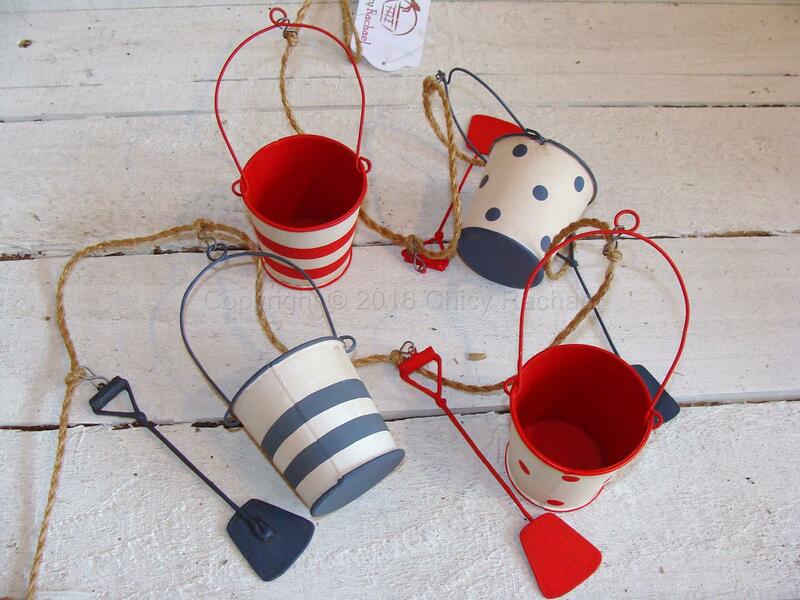 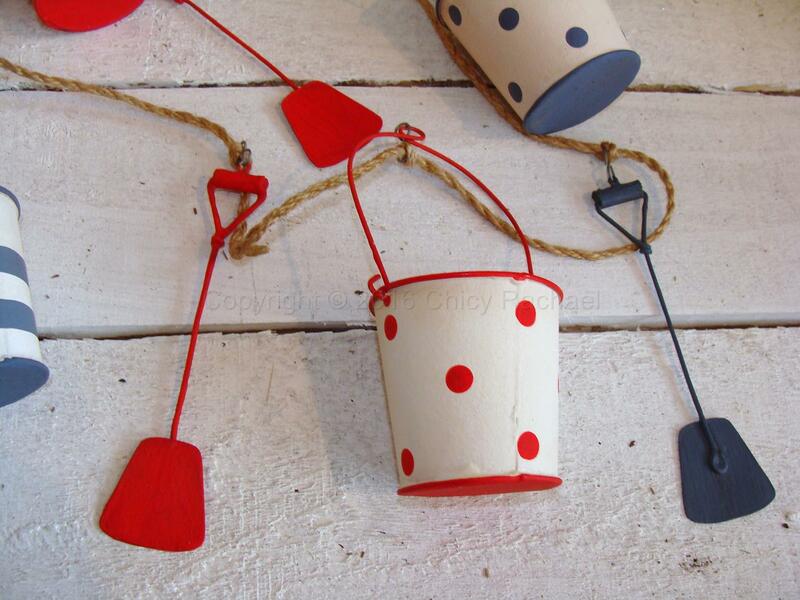 The buckets are spotty and stripy all strung together with rustic jute. 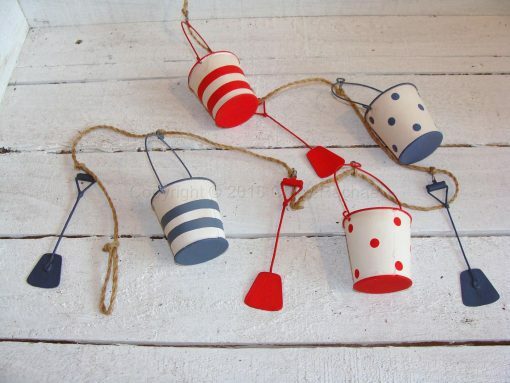 This would look lovely hung in a nautical/beach themed room or hung up in a child’s bedroom.